North Arrow Minerals is 1 of 3 Resource Opportunities sponsor companies. 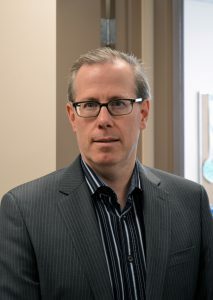 Vancouver-based North Arrow Minerals is one of the more active diamond exploration companies globally, with a portfolio of projects focused on Canada. 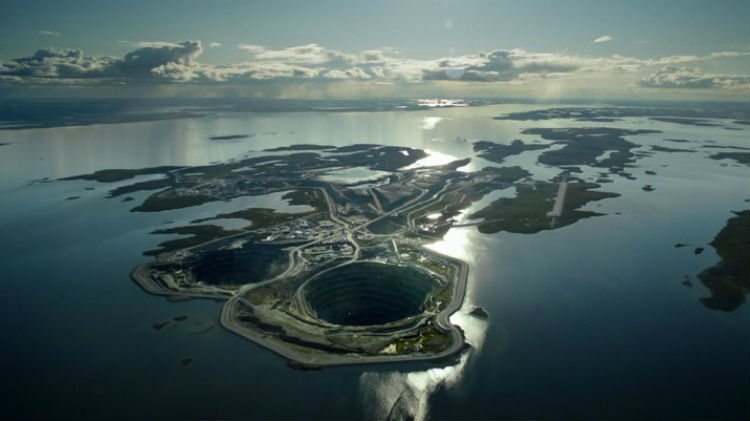 Its most advanced-stage project is the large Naujaat deposit in Nunavut, which has a resource and hosts a population of valuable fancy orange yellow diamonds. But this season’s focus is on exploration drilling at the Mel and Loki projects in Nunavut and the Northwest Territories, respectively. Mel was a grassroots diamond discovery that North Arrow announced late last year. The company traced kimberlite indicator mineral (KIM) trains up-ice and made a prospecting discovery of kimberlite, from which 23 microdiamonds were recovered from a 62.1-kg sample. The first drilling program on the property is planned for this summer. 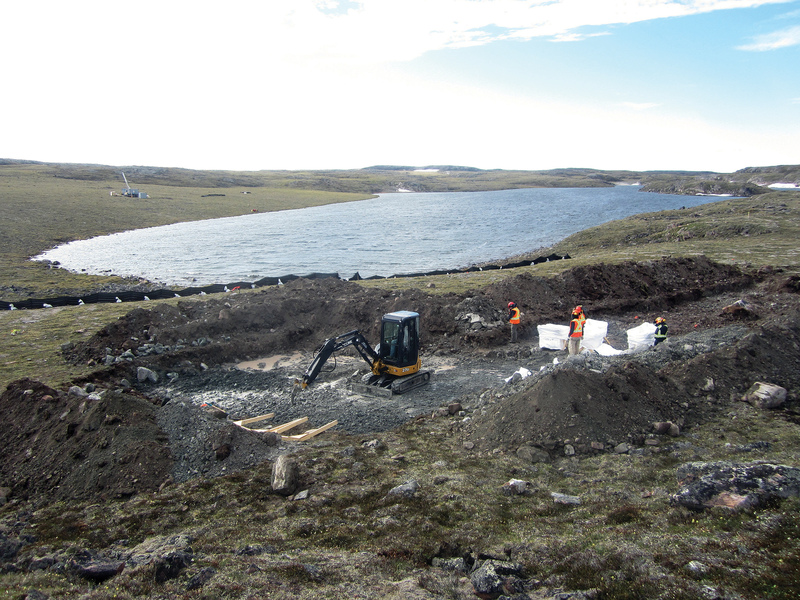 The Loki project is in the Lac de Gras diamond field that hosts the Diavik and Ekati mines. The focus there is EG05, a kimberlite that Rio Tinto discovered, and 465, a kimberlite discovered by North Arrow in the spring. The latter was the first kimberlite discovery in Lac de Gras in the past 5 years. 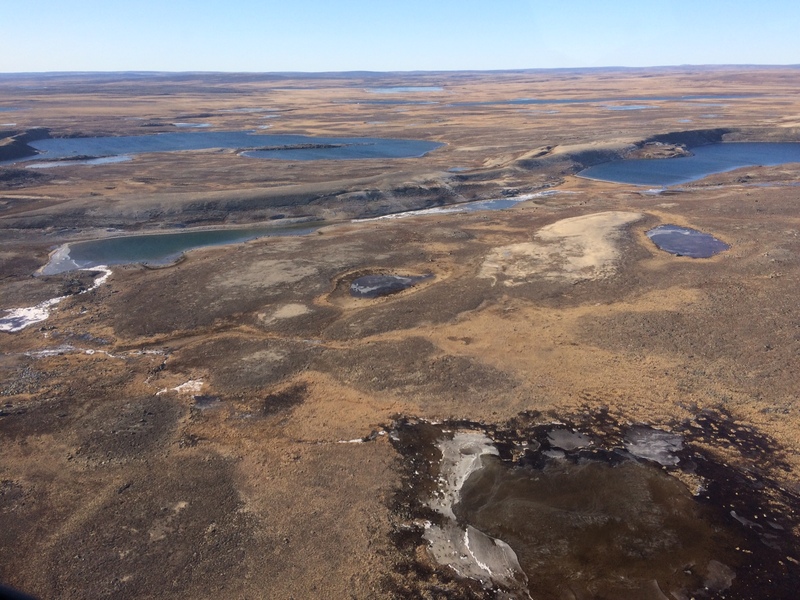 It’s familiar terrain for the North Arrow team, including chairman Gren Thomas whose Aber Resources discovered the Diavik diamond mine. 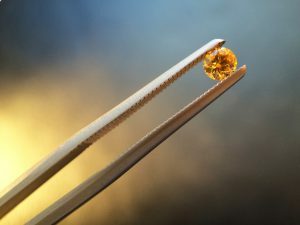 Rough diamond prices are now at a 52-week high and demand for polished diamonds is strong in China, India and the U.S., according to New York-based diamond analyst Paul Zimnisky. On the production side, pending mine closures including Argyle and Victor will put pressure on supply, with few new operations coming online. The improving picture follows a choppy 2017 that saw high inventory levels at De Beers and Alrosa and flat rough diamond prices. 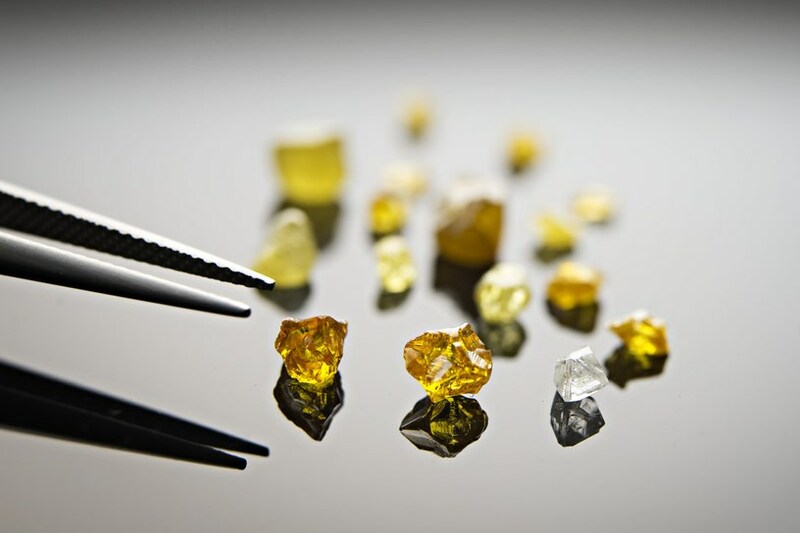 North Arrow shares have been under pressure along with shares of new Canadian producers Stornoway Diamonds and Mountain Province Diamonds, which declined 41% and 18% respectively over the past year as startup problems weighed. On Monday North Arrow announced a $3-million private placement consisting of flow-through shares at 20 cents and non-flow-through units (one share, one 2-year 30-cent warrant) at 17 cents. We caught up with CEO Ken Armstrong, who was in Calgary for the TakeStock! investor forum, to find out more about plans and how the money will be used. Q: What is the breakdown on how the $3-million financing will be spent? A: We’ve allocated $2 million for Mel drilling – testing the 2017 kimberlite discovery and new targets. That number includes microdiamond processing costs. We will also complete microdiamond processing of the EG05 and 465 kimberlites at the Loki project that were drilled in March, as well as some final microdiamond processing from the 2017 drilling of Naujaat. That’ll be a couple hundred grand. We are also looking at getting a remaining top target drilled at Loki, target 853. Ideally we’d tie that onto ongoing drilling at our LDG JV property, which is operated and funded by partner Dominion Diamond. We’d retain a half million or so for G&A. Q: Any big names buying into the financing? How much will insiders and management participate for? A: Insiders are committed to taking at least $1.5 million, so half, with most of that being directors/management. 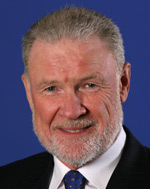 Gren Thomas, our chairman, and Eira Thomas, a North Arrow advisor, will both participate. I will also participate. Q: How did you determine the pricing of the financing? A: We tried to price it to make the non flow-through unit and flow-through share components equally attractive. On the Unit we put a fairly quick threshold on the accelerator, at 40 cents, however we felt it was justified by pricing it a discount to market with a full warrant, rather than a half-warrant. The flow through is essentially priced at market with the intent to fill the orderbook efficiently. We are looking at immediate use of funds with Mel drilling in July, Loki drilling in July or August and with more diamond results from Loki, Naujaat, and in September or October, from Mel. This is all news flow that will occur before the four-month hold comes off the financing shares which is, we think, a positive feature of the placement. 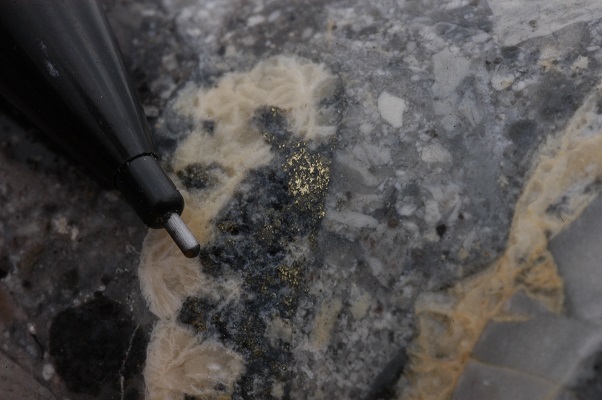 We have been the most active Canadian junior in terms of new kimberlite discoveries in Canada and are poised for more discovery, potentially on up to three projects, over the four months. The esker location at Mel where North Arrow’s drill camp is being set up. Q: Which of the three active projects that you’re raising money for is the most likely catalyst — Loki, Mel or Naujaat? A: All three have potential catalysts. Folks seem to be most interested in new discoveries and Mel certainly fits that bill — it’s a brand new kimberlite discovery made by prospecting last fall. The kimberlite contains some very coarse mantle minerals and we see hints of that coarseness in the initial diamond results, which is positive. Having already found kimberlite and diamonds actually de-risks the initial drilling significantly. We know we will hit kimberlite with diamonds, it’s more a question of how many and how big they are. Based on the spread of indicator minerals there are certainly multiple sources with some nice, sizable magnetic targets. This is a brand new kimberlite field and the first kimberlite discovered is significantly diamondiferous. It doesn’t happen too often, so we are keen to get drilling. We’re currently mobilizing a camp and drill to the property now with drilling planned for July. At Loki we also have a new discovery and are waiting on microdiamond results. In early April we announced the discovery of the 465 kimberlite – the first kimberlite discovery made in the Lac de Gras area in over 5 years. There are also pending microdiamond results from the EG05 kimberlite which was also drilled during the spring 2018 program. We also have a number of targets that we’d like to drill test, including target 853, which we’d like to see drilled this summer. Q: It’s been almost three years since the disappointing Naujaat diamond valuation. Does Naujaat remain North Arrow’s flagship project and what is happening with the project? A: Naujaat remains North Arrow’s most advanced project. We’re still interested because it’s a significant diamond inventory in a large tonnage deposit (as far as Canadian diamond deposits go) sitting on tidewater near a community. 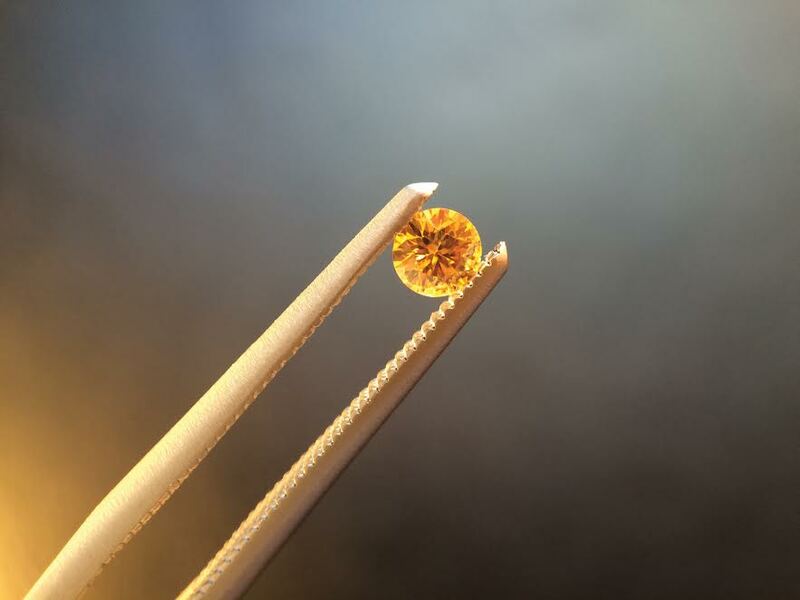 Our work on the Q1-4 diamonds has clearly shown the deposit contains high-value fancy orange yellow diamonds and, overall, is under evaluated. Last summer we completed more drilling to confirm the size potential of the kimberlite down to 300 metres below surface and we had three different holes extend over 100 metres beyond the geological model, with two of those holes ending in kimberlite. It’s a big body. We also collected a 210-tonne sample that confirmed the presence of the coloured diamond population in the A88 phase of the kimberlite. This is a totally different unit than was sampled in 2014 – the 2017 sample pit was over 400 metres away for the 2014 pits – and the proportion of coloured stones is very similar to the 2014 result. The work we’ve done with the diamonds themselves has shown that the coloured stones are a distinct population from the non-coloured stones. The two populations are completely different ages and the yellow population has a markedly coarser distribution than the non coloured stones. The photos of the diamonds we had polished and certified at the GIA show how beautiful this colour is and highlight the potential value upside in these diamonds. 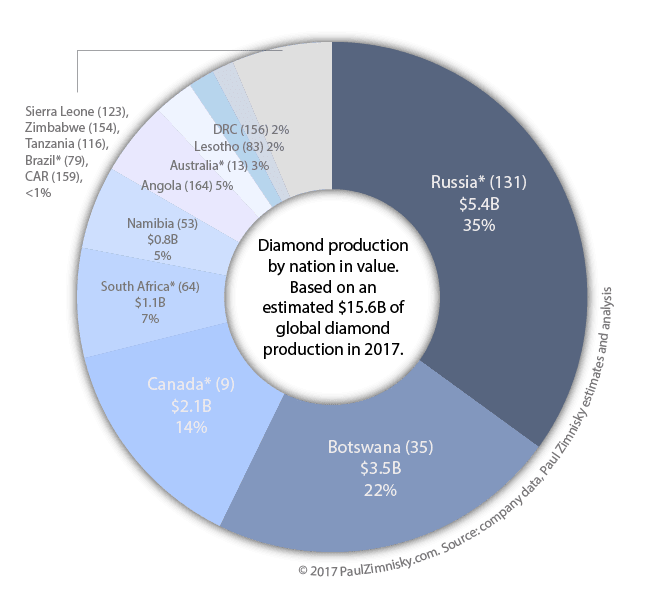 But it is actually the potential for a coarse size distribution that may be even more important in terms of potential upside to the value contribution of the coloured diamonds. And the only way to confirm or disprove the potential value upside is a larger bulk sample. A cut-and-polished fancy intense orangey yellow diamond from North Arrow’s Naujaat project. To that end we have hired consultants and been working closely with the community of Naujaat to look at developing a road to the deposit. We’ve also started looking at processing options for a larger sample and how that might look, all with an eye to better pinning down the budget options for collecting a sample of sufficient size to get that answer. Being so close to the community really presents opportunities for reduced costs – we’ve seen that with our exploration programs and we need to make sure we take full advantage of all potential cost savings. Of course all this takes time, but that is why we have North Arrow evaluating a number of quality projects, not just one. 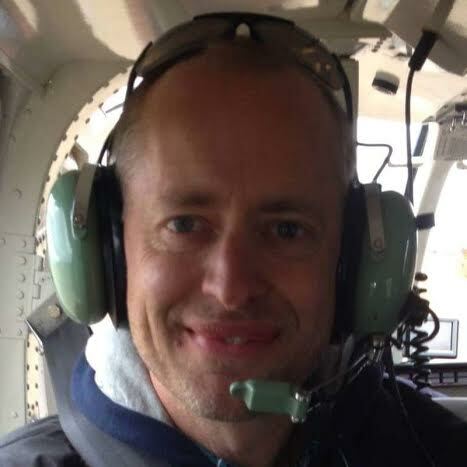 It allows the team to focus on well-informed, cost-effective exploration even if that might mean slower news flow from a particular project. There will be steady news flow from other projects as each cycles through the process. Q: Along the lines of quiet projects, what is the status of the Lac de Gras joint venture with operator Dominion Diamond Corp.? A: The LDG JV is having an active year. 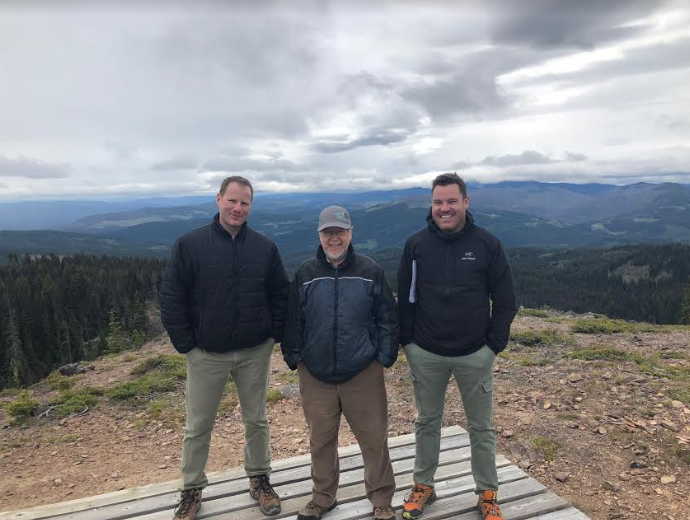 It has definitely been one of our quieter projects as our partner Dominion spent a lot of effort defining targets through a series of overburden drilling and geophysics programs. Late last year, Dominion also went through a well-documented takeover by the Washington Group of Companies, with the resulting transitions that often accompany such changes. However, a very positive outcome for the LDG joint venture has been Dominion’s renewed commitment to exploration, and, as I understand it, the 2018 LDG JV budget was one of the first budgets approved by the new ownership. The focus of the 2018 program is exploration and discovery-type drilling and we expect that work to pick up again during the summer. North Arrow elected not to finance its share of the current program so we could focus our resources drilling our 100% owned projects at Mel and Loki. However, although we are taking dilution of our joint venture interest, if a Lac de Gras-type discovery is made North Arrow will still maintain a significant interest, north of 25%, in the joint venture. 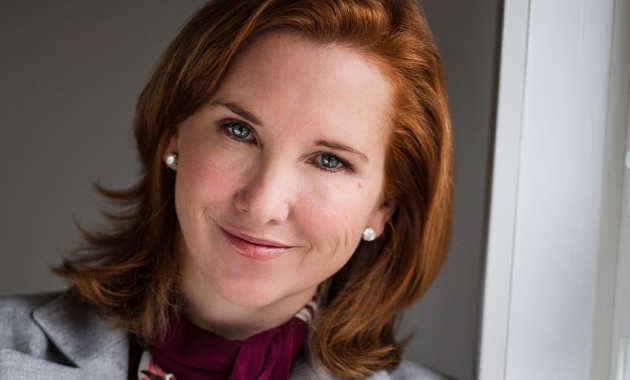 Q: With Eira recently taking over as CEO of Lucara Diamond Corp., how involved does she remain with North Arrow? A: Eira’s involvement with North Arrow has been key since we began our focus on the Canadian diamond space. She remains an important advisor and sounding board for management – and the board – as we strategize on how best to move the project portfolio forward. Disclosure: North Arrow Minerals is one of three Resource Opportunities sponsor companies and James Kwantes owns North Arrow shares. Readers are advised that this article is solely for information purposes. Readers are encouraged to conduct their own research and due diligence, and/or obtain professional advice. The information is based on sources which the publisher believes to be reliable, but is not guaranteed to be accurate, and does not purport to be a complete statement or summary of the available data. Copyright​: This publication may not be reproduced in whole or in part, in any form, without the express permission of the publisher. Permission is given to extract parts of the report for inclusion or review in other publications only if credit is given, including the name and address of the publisher.